Thought-Leadership is a business’s strategy to shape, promote, and own a topic of great societal relevance. A Thought-Leader’s central goal is to gain new interested customers and to create an active community of inspired brand fans. Though Leader work closely with their fans to achieve the ambitious goal they have set themselves. With this strategy, a brand transforms from a simple market participant to a cultural institution – a Thought-Leader. However, Thought-Leadership is no end in itself. Only via consequent and sustainable implementation Thought Leaders achieve a measurable Business Impact, which can be proven by multiple economic indicators. Thought Leader bauen eigene Systeme. Thought Leader gewinnen Köpfe und Herzen. 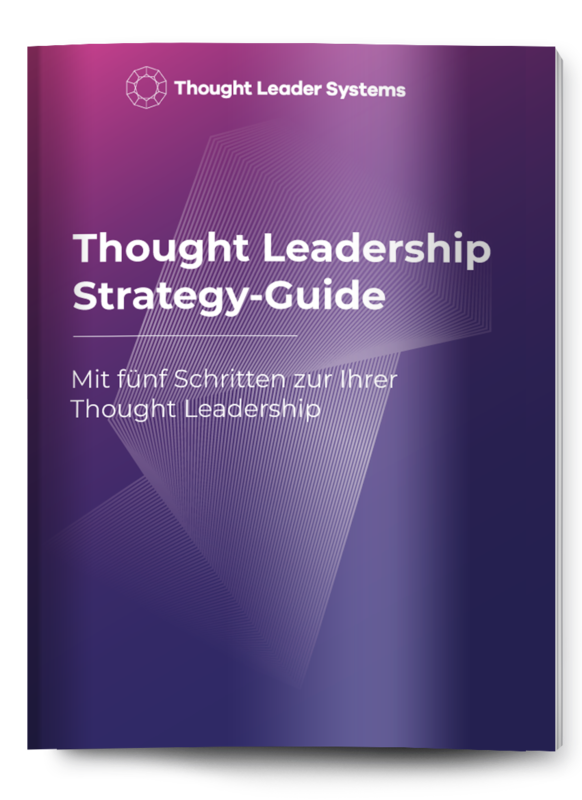 Unternehmen wollen die Nummer eins sein – Thought Leader sind einzigartig. Thought-Leaders create their own systems. Thought-Leaders win hearts and minds. Businesses want to be the number one of many – Thought-Leaders are unique. Businesses have employees – Thought-Leaders have brand faces. New recommendations and an increased willingness to do so by providing activities that matter to people. Turn customers into brand ambassadors with an active community building. Empfehlung und hohe Empfehlungsbereitschaft durch Aktivitäten, die für die Menschen bedeutsam sind. 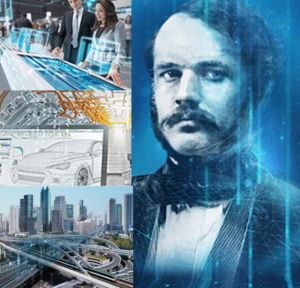 With their current Thought-Leadership campaign “Ingenuity for Life,” SIEMENS renews the myth surrounding the company’s founder and inventor Werner von Siemens. The campaign stages the former founder’s ingenuity and the technological innovations in the companies 250-year history. The campaign umbrella helps SIEMENS to positition themselves for two current Thought-leader topics: Industry 4.0 and autonomous driving. With their “SIEMENS Thought-Leadership Tour” they present the entire spectrum of skilled Thought-Leadership communication to the public and professionals alike: e.g. strikingly big and extravagant exhibition appearances, numerous appearances of the company’s international top management, as well as their brand faces, and the implementation of SIEMENS laboratories at schools and universities. 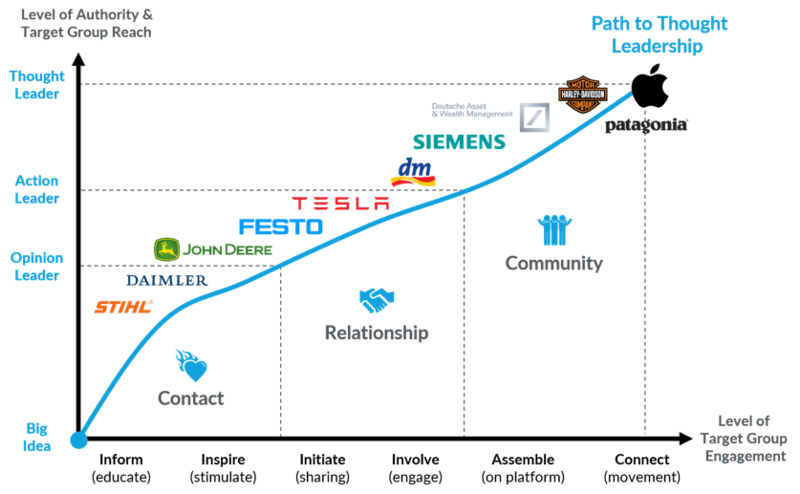 SIEMENS has managed to make their brand position as a “Thought-Leadership manager” a routine at their company base in Munich. 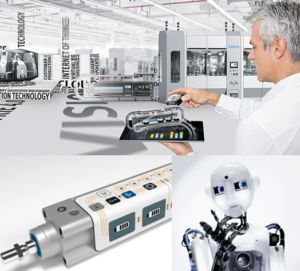 FESTO is a leading worldwide in automation technology as well as a world leader in technical training. In 176 countries around the world, FESTO is a synonym for innovation and technology. FESTO practices Thought-Leadership worldwide with a constant presence of Thought-Leader products and services. Thought-Leadership is the set goal of all of the global FESTO academies. In order to achieve their goal, FESTO uses training systems, training and consulting branches, local academies, a “Bionic-Academy” at universities as well as a “Global Learning Network.” Their customer communication relies on comprehensive Thought-Leadership communication (i.e. white papers, studies, research results, etc.). FESTO has integrated their Thought-Leadership tightly into their on-boarding and training programs. New employees are trained in Thought-Leadership (so-called employee engagement). TESLA MOTORS is renowned as the innovative creator of electric cars – as an undisputed Thought-Leader for electric mobility. The company’s goal, creating a new self-sufficient way of generating and storing energy, is closely modelled on their name giver, Nikola Tesla’s (1856-1943), Big Idea. TESLAS’ “Powerwall” is yet another groundbreaking renovation. It is a household storage battery, which enables private households to become almost independent from the industrial production of electricity and its supply. A concern Nikola Tesla was a big advocate for during his lifetime. Model 3, as well as the Powerwall, make their big idea clear for their target audience and those who weren’t previously aware of the brand and the myth behind it. Would you like to increase your revenue and strengthen your brand? 49 pages filled with practical tips on how Thought-Leadership can help your brand to succeed. How to generate new growth with the help of Thought-Leadership. 5 steps to a market monopoly. You can download this eBook for free and nonbinding. The success of your Thought-leadership consists of four dimensions. You can create a market monopoly with unique communications, innovative products, a strong business model, and your own brand ambassadors. 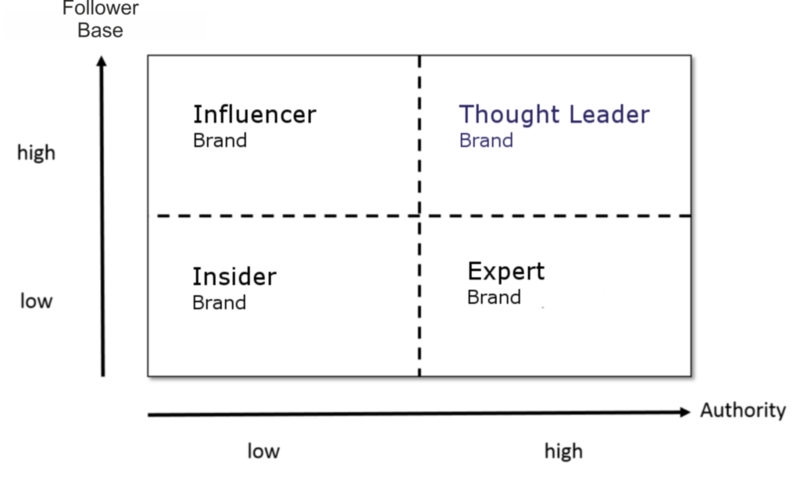 Become your target group’s opinion leader like Dove, IBM, the AAA or Greenpeace. Create a monopoly with your products like TESLA, Patagonia or Coke. Use a system to create entirely new markets like Apple, Google, Amazon or facebook. Werden Sie Meinungsführer für Ihre Zielgruppe wie Dove, IBM, ADAC oder Greenpeace. Schaffen sie mit System völlig neue Märkte wie Apple, Google, Amazon oder Facebook. The Campaigner strategy focuses on communication and its content in order to occupy the role of the forward thinker in the market as well as in the target group. For this purpose, a media campaign is developed (Thought Leader Campaign), which does not only advertise the Big Idea and the brand’s approach to a solution, but simultaneously address the target group personally, inspire, and involve them. The target group has to actively involve themselves and use the communication tools provided by the brand (e.g. Facebook fan page, messaging board, etc.). Focused Thought Leadership campaigns tie and activate the consumers as well as they increase loyalty. They enable the customers to experience more than just the product: they can see and experience your key promise, your social impact and be part of your legend. 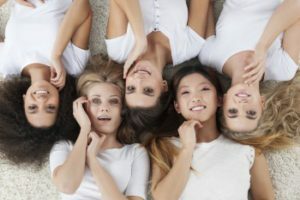 The body care brand Dove (Unilever) has been successfully promoting the Big Idea of „Natural Beauty“ for many years now- consciously distancing itself from the traditional and artificial beauty image, heavily represented in fashion magazines and the fashion scene. Dove commissions its entire brand communication to its “Thought Leader Campaign” and with viral campaigns, studies, different media formats (e.g. TV contest shows) keeps the momentum going and its customer’s enthusiasm high. This high enthusiasm motivates the customers to participate in Dove’s online community and promote the brands concern: To encourage women’s self-esteem and self-awareness. The companies own body care products and business model remain mostly unaffected by all of this. Experiencing the Role of the Forward Thinker Through Thought-Leader Products. The Innovator focuses on the products and services of a brand (Thought-Leader Solution). The product itself, with its first impression, its function, and the user experience embodies the Big Idea. The product/services itself makes people want to be involved and joins them in a fan community. With his innovative Thought-Leader Product, the provider creates an entirely new market category or dominates the awareness in an already existing one. Done to perfection, the brand name will become a proper noun, a synonym for the entire market in the target group’s perception (e.g. Post-It for self-adhesive pieces of paper or Coke for a soft drink with caffeine). TESLA Motors has worldwide acclaim for its innovative, luxurious, and user experience focused electric cars, which have redefined the entire perception of the electric vehicle network and, even further, have convincingly claimed to surpass the driving experience of conventional cars. TESLA’s Big Idea has really come to light since they have begun mass producing batteries and superchargers. Closely related to the company’s name giver Nikola Tesla (1856-1943) the brand’s focus is to establish self-sufficiency in generating and storing of energy. 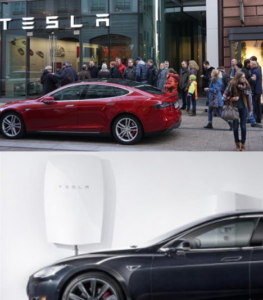 With the introduction of the “Powerwall”, Tesla introduced an energy storage device which enables private households to essentially become self-sufficient. Nikola Tesla himself dedicated his research to precisely this idea. The Powerwall visualizes Tesla’s Big Idea for a target group that hasn’t yet been familiar with the brand and the legend behind it. The product itself is the Thought Leader Hero. The Game Changer incorporates Thought-Leadership into the business model, the key products and the brand’s communication. It focuses on developing an entirely new supply and customer experience which so far have not existed at all, thus changing the rules of the whole industry. The Game Changer’s business model consists of a closed system in which a multitude of innovative products are interlinked through their combined usage (e.g. smartphones, apps, cloud services). The products work harmoniously together and thus increase the user new supply and customer experience which so far have not existed at all, thus changing the rules of the whole industry. The Game Changer’s business model consists of a closed system in which a multitude of innovative products are interlinked through their combined usage (e.g. smartphones, apps, cloud services). The products work harmoniously together and thus increase the user experience exponentially. Every single part, as well as the entire integral system, communicate the Big Idea of the product and brand solely through their elegance and functionality. The brand’s function as a pioneer in the field is advanced via the product, the community, their own platform, and, ideally, the brands own communication campaign. The system can also function as a community, for the costumers and fans, in itself, as WordPress (one of the most popular content management systems) perfectly exemplifies. Apple is the prime example for Thought-Leadership. No other company has internalized the concept like Apple has over the past decades. The company uses every available method of branding – be it the origin myth as a humble group of engineers working from a garage, the legend as a rebel by using the image of the original sin with the apple, or by incorporating unique designs – to remain a pioneer in their field. Steve Jobs has forever established himself, even after his death, as the brand face of the company and the mastermind and pioneer of the industry. In cooperation with his legendary head of marketing Guy Kawasaki, he from early on involved every one of his employees in the company’s Thought Leadership campaign by the IT world with his legendary Thought Leadership Campaign “Think Different.” It was a simple idea: in their advertising campaign, Apple joined the ranks of other revolutionary Thought Leaders by putting their faces into Apple’s own commercials (e.g. Albert Einstein, Martin Luther King jr., Richard Branson, Pablo Picasso, etc. this youtube clip explains the idea behind it perfectly Youtube-Video). The natural conclusion, now, is that every great innovation, product, or service by Apple is combined into one single Thought-Leader System. 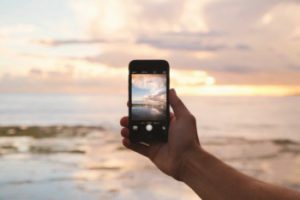 Each and every product (iPhone, iPad, or Apple Watch), by itself and combined communicate the brand’s leadership idea. They set the bar so high that with every new product the customers, the fans and even the stock market expect a revolutionary new idea. Not fulfilling said expectations by “simply” introducing improvements to existing products leads to disappointed customers. The launch of the Apple Watch is a good example of how difficult these expectations can make introducing new products. Since there already were similar devices on the market and Apple, as a Thought-Leader, simply integrated it with its other products (hence delivering a smooth user experience), the reactions among Apple’s fan community were split. We believe there are many more, and different ways, in the future for Apple to maintain their role as a Thought-Leader and expand their campaign even further. A lot of market potential nowadays lies in developing ingenious appliances like smart TVs, new smartphones, tablets, or even cars. However, it can be just as interesting for the company to connect its entire community on their own, interconnected community platform. In times of Big Data, the biggest benefit for the costumer can arise from their personal data, i.e. data they provide willingly, in order to use interactive Apple services. A Brand Face Strategy converts your employees to Thought-Leaders. The final Thought_Leadership dimension is the Brand Face dimension. A brand face is much more than just a figurehead. They are the ones that radiate authority towards your customers. They influence the way your fans think and represent your brand as well as your brand’s entire philosophy. There are five different types of brand faces which differ in regard to input, efficacy, and personalization. An ideal implementation of brand faces all of them would have their place in the company, however, this rarely is the case in practice. Especially when you are new to the concept and are just starting to implement them it is advisable to focus on one aspect at a time. Later changes in one aspect have to be adapted in all the other ones as well. Even though the road to the right brand faces can be long and costly, their ROI is worth it. Deutsche Bank is one of the most renowned banks from Germany. After the 2008 financial crisis, every banker and especially the ones working at Deutsche Bank were perceived as heartless. A few years ago the executives at Deutsche Bank decided to establish their most senior investment strategist as their brand face. Ever since they publish a daily column on their website titled “perspectives in the morning,” which deals with current developments and outlooks in the German market as well as internationally. Each column can be accessed via a mobile app or be received as an email. Dr Ulrich StephanDeutsche Bank’s head investor, acts as its patron, signing each of these columns as well as being portrayed on their banner. by that, Deutsche Bank has achieved to become more tangible and to show interest in the well-being of small investors. Dr Stephan represents all the qualities Deutsche Bank wants to embody: Professionalism and know-how are shown and combined to approach the everyday man. Thus, they create a connection and positive association with the brand. Our free eBook helps you to plan a successful Thought-Leadership strategy with 5 easy steps. How to generate new growth with Thought-Leadership. Execute Thought-Leadership the right way. Your 5 steps to market monopoly. Thought-Leadership is a management strategy, which incorporates ideas, products, and business models to help you to achieve a real breakthrough. Any business, brand, and institution can become a Thought-Leader – but only with the right strategy. Plan your way to becoming a monopoly and to differentiate yourself from others in the market strategically. Choose the right business model and systems, which are adapted specifically for your needs. Create a long-lasting differentiating product and service policy. Promote your role as an opinion leader with the right communication style and by positioning yourself in the market. Utilize a powerful mix consisting of content marketing, online marketing, influencer marketing, storytelling, and PR. Strengthen your customer relationships by providing inspirational customer experiences. Create your own online platform and customer communities. Turn your customers into fans and active promoters. Gain and inspire new customers online. Increase your visibility online and your Google ranking. Gather the right information about your target customers with buyer personas. Turn your website and blog into a right contact machine. Gain qualified leads and foster sales transactions. Manage your customer relationships in real time with the right marketing automation software.